The 1980s are in full swing, and as prep finds a resurgence among Hollywood bullies and Brat Pack fanatics alike, the trend crosses from Ivy League campuses, to Bel Air mansions—inevitably tucking itself into the moneyed ski lodges frequented by privileged bros. Like any trendy sport, the interest was more on the culture than the actual athletics involved. As ski bros hunted down snow bunnies by base camp, the styles became even more outlandish, focusing on massive accessories and neon colorways that would draw eyes both on the slopes and at the lodge. Patagonia, for its part, had been relatively "granola" until this point. Founded in 1973, the company originally catered to hippies that enjoyed the great outdoors, specializing in mountain climbing gear. With an ideology that focused on catering to those actually wearing their gear in the wild, Patagonia was invested in modernizing mountainwear—which, at the time, consisted of pieces guys had been wearing for centuries: wool sweaters and cotton chinos in dull grays and browns, both of which weren&apos;t ideal for mountain weather conditions. Focusing on innovating for its client base of ardent outdoorsmen, the brand pioneered the development of Synchilla, made with help from Maiden Mills (which was recovering from bankruptcy following the collapse of the fake fur coat market in the &apos;70s). The best part of the new fabric was its light weight and ability to keep wearers warm—even when wet. The Snap-T shape we know today was designed to incorporate this new fabric development, but in a shape that would optimize comfort and reduce bulk. 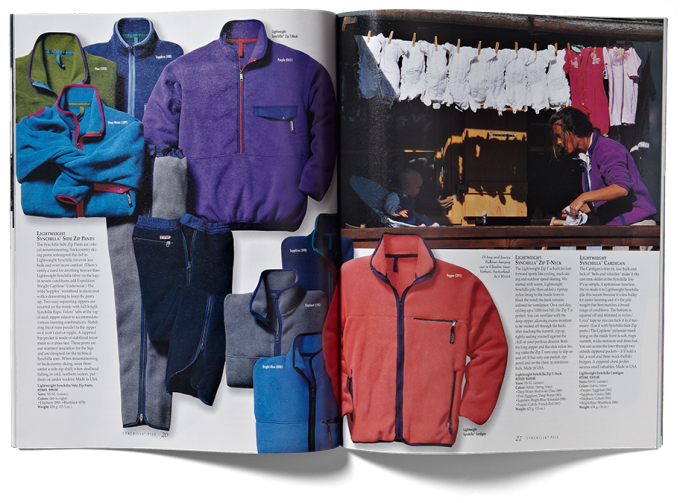 Synchilla was also integral to Patagonia&apos;s other lasting fleece silhouette—the full-zip Retro-X cardigan. Coincidentally, the shape would also see a production run in a variety of colors that were wildly unconventional: burgundy, turquoise, magenta, and bright red. 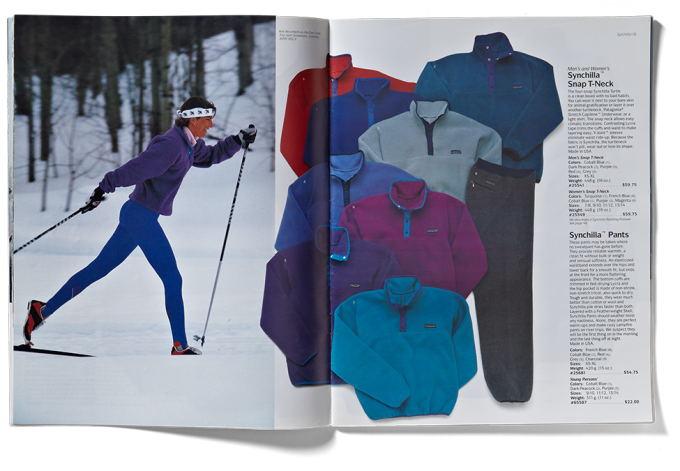 By 1985, with the après ski trend in the fore, the Snap-T was the perfect lightweight layer to add to your wildly colored slope ensemble. 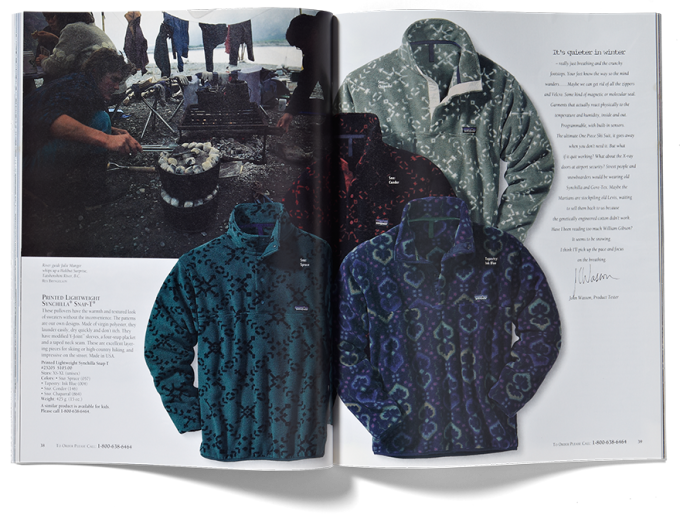 Patagonia would go on to spread the silhouette to its other sports, and with 1989&apos;s addition of a snap closure pocket (along with some even wilder colorways), the modern Snap-T was created. 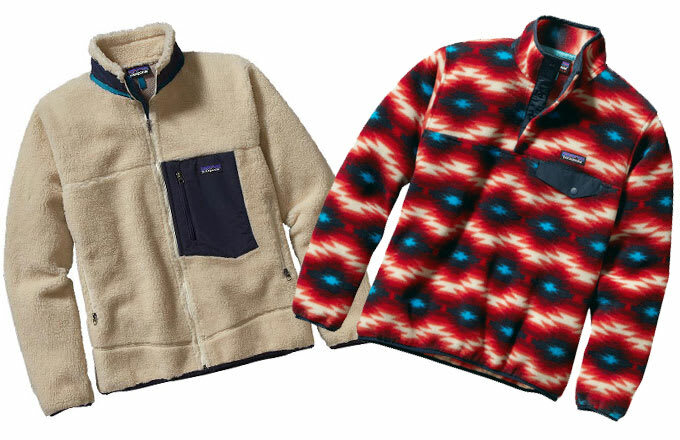 As the early &apos;90s rolled in, Patagonia began incorporating print onto the flagship piece, incorporating everything from Navajo-prints to Coogi-esque intricate striped designs. With the Pacific Northwest both a haven of mountain climbers, and the home of the rising grunge music (and aesthetic) movement, the new designs were taken up with fervor. Remember, the &apos;80s were loud with neon colors, but the &apos;90s were all about insane patterns. But by the end of the decade, as the new millennium approached, the first wave of après ski bro offspring had reached their teenage years. By the time the 2000s had begun, you had dudes who, like their fathers and mothers, adopted the Snap-T in much the same way—as a comfortable lightweight layer, complete with a new rendition of the designs that helped them stand out on the slopes. Unfortunately, this also meant there plenty of dudes who still carried the bro-y privilege that they inherited from their parents. Needless to say, the ski-mountain class segregation personified in Johnny Tsunami was sure to be enacted in real life by white preppy dudes wearing fleece pullovers. With the 2000s in full swing, the &apos;80s were seeing a revival, especially when it came to fashion. Après ski was only one niche trend, but as thrift store shopping became an increasingly popular suburban pastime, coupled with the &apos;80s prep-aesthetic pushed by then-dominant American Apparel, and dudes were wearing the Patagonia Snap-T as a tongue-in-cheek adoption of their parents&apos; styles. Except now, instead of isolating it to the mountain or the lodge, they were wearing them to chilly morning lacrosse practice before school. As fraternity fashion re-emerged under the swell of "college trad," Patagonia Snap-T&apos;s and Retro-X jackets were recontexualized for the modern age of bro style, paired with Sperry boat shoes and a pair of pastel Vineyard Vines shorts (especially when it&apos;s cold out); the pocket used to hold Starbucks gift cards emblazoned with Pumpkin Spice Latte graphics instead of faded ski lift passes. 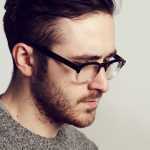 The fleece styles have even filtered upwards, as designers likePatrik Ervell and Kim Jones, Louis Vuitton&apos;s menswear designer, have put out similar jackets on the runway. But even though the sturdy, versatile outerwear has trekked far from its roots on the slopes, the pieces have managed to remain perennially cooler than the basic dudes who wear them.